I know, I know. You just love to know more about me. 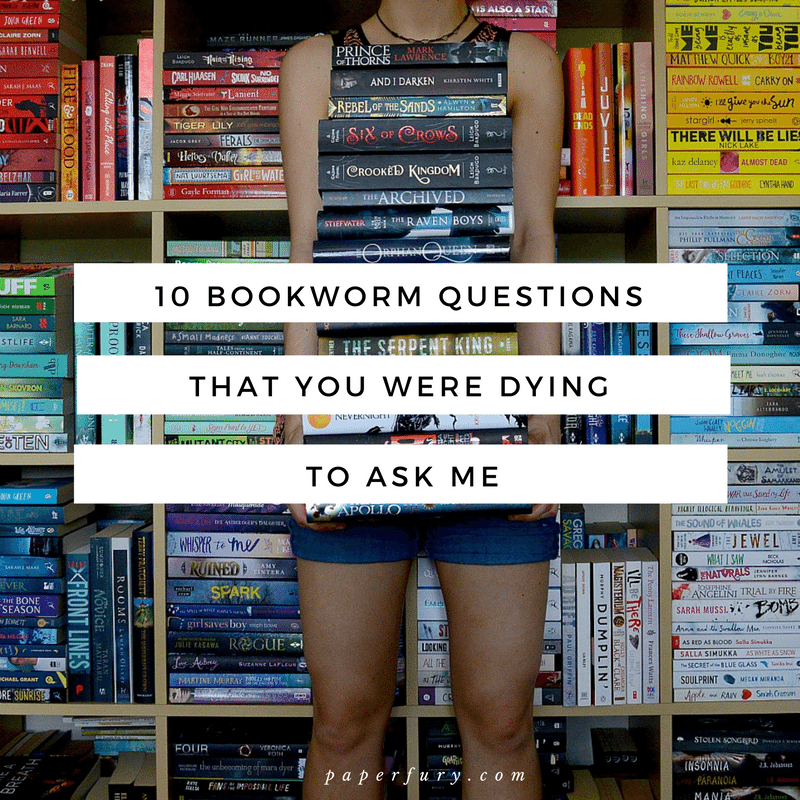 Or, you know, questions you aren’t dying to ask me because you really don’t want to ask me anything because you’re only here for the cake ** but HERE WE GO ANYWAY. Thank you Julia, Belle Anne, and Mackenzie for the tags! Also I assume it’s called the “Sunshine” award because it’s given to people who are as radiant as the sun and the world can’t exist with out them and also they like to set fire to the universe and explode things — aka me. 1. WHICH ARE YOU MORE PRONE TO FALL IN LOVE WITH: FANTASY OR REALITY? I am constantly in love with Fantasy. We’re probably going to make it official soon, get a ring, set a wedding date — all of that stuff. Like I’ve occasionally looked at Reality and gone “What would it be like to be with you?” but that fleeting feeling is always followed with “PROBABLY THE SAME AS GOUGING MY EYES OUT WITH A WOODEN SPORK WHILE FALLING INTO A SCREAMING VOID” so I decide to do the safe and smart thing and stick with my darling, Fantasy. It’s been 22 years now and we know we are the only ones for each other. There shall be no love triangles for me. I’m sorry, Reality. It just never would’ve worked out between us. This is an excellent question because I haven’t the foggiest. SO I ASKED BUZZFEED (obviously the first thing to do when you have no idea of something about your own self) and it said I was Fire which means I’m disagreeable, fiercely loyal, and probably use my birthday candles to set other people alight and I have been known to set a character or two or all of them on fire while writing. I also raise you these books as absolutely fluffy happy feel-good-fests that will probably make you grin like a deluded sheep and snuffly say “Awwww” at least 3 times. Maybe even 4 if you’re being wild. 4. IF YOU COULD MAKE ONE OF YOUR OWN FICTIONAL CHARACTERS REAL, WHO WOULD IT BE? I think we can agree…no. No let’s not let my characters become real. Ever. 5. LEAST FAVOURITE BOOK YOU’VE READ? I have 51 books on my 1-star Goodreads shelf so least to say….I HAVE A LOT OF BOOKS I WOULD BE OKAY TO USE AS DOORSTOPS. But I shall particularly pick out Paper Princess for its gross romanticism of sexual harassment and abuse. I perhaps ranted on Goodreads. I perhaps got 260 likes which is LIKE ONE OF MY MOST FAVOURITED REVIEWS EVER. They don’t call me Paper Fury for nothing, children. 6. WHO (disregarding the classic authors) IS YOUR FAVOURITE AUTHOR? Anyway. Incredible metaphors aside, my favourite authors are MAGGIE STIEFVATER (obviously), VE Schwab, Holly Black, John Green, Leigh Bardugo, Scott Lynch, Patrick Ness, Jay Kristoff, Cassandra Clare, Pierce Brown, Sally Green, Suzanne Collins, and Rick Riordan. And more, because I have a LOT of best friends who don’t know I exist favourite authors. * Okay wait, I must clarify: do the Americans set their marshmallows on fire before eating them? Because that’s what we do in Australia. If your marshmallow isn’t 90% charcoal than it’s not cooked, Frank, and go back and burn the living heck out of that thing before you consume it. 7. FAVOURITE BOOK OF THIS YEAR? I’m just going to leave you with this SUPER CUTE COLLECTION (if you click they’ll link to my reviews) because choosing between my sons is not going to happen. Although I am going to ask WHAT ON EARTH The Female of the Species did to earn such a horrendous cover. Did it insult the cover creators of the universe???? Will justice be served for the fact that this is heinous??? I don’t like yellow books generally but this is a putrid shade particularly. And look THERE’S ONE CONTEMPORARY AMONGST THESE. I’m so proud of me. 8. DO YOU BUY OR BORROW BOOKS MORE OFTEN? Oh this is definitely borrow. I buy 3 or 4 books per month (wooo for being paid to freelance blog with book vouchers!) and borrow about 3490 books from the library per month. ONE OF THESE IS SLIGHTLY EXAGGERATED, I’LL LET YOU FIGURE OUT WHICH. The trouble with library books is you have to give them back. ACTUALLY ME IN A LIBRARY. 9. WHAT ARE SOME OF YOUR FAVOURITE THINGS ABOUT BOOK BLOGGING? The part where lots of people follow me, I crown myself queen, and vivaciously and malevolently rule the entire world with my iron fist and adorable temperment. Finding FUNNY and CLEVER and TALENTED people to hang out with. Like seriously, you peoples??? What did I do to deserve you being so awesome???? Any time someone supports my blog or my Society6 store or my #bookstagram…just woah. None of you have to do that. Yet you keep saying “HEY CAIT THAT’S PRETTY” or “HEY CAIT YOU MADE ME SMILE AND THAT WAS GREAT” or “HEY CAIT CAN I BUY YOU 48 BOOKS * RIGHT NOW” and you know what? You’re the best. I actually cannot even get over how nice you are and how much I flail continually because of it. Emojis. They’re pretty expressive. Am I mad? Am I happy? Am I laughing? Am I thinking about cake? Or murder? You’ll never know because I always use that smiley-laughing-face one for every situation. Being able to flail over books! Sometimes book blogging can get stressful and negative, especially if you’re battling trolls. But you know what?! I started this blog to FLAIL OVER BOOKS and that’s just really my favourite thing. ** No really. Keep it up OR ELSE. *** Sherlock and I don’t need these IRL. Online is fine. 10. WHY DO YOU THINK READING DIVERSELY IS IMPORTANT? RECOMMEND SOME FAVOURITE DIVERSE BOOKS! Reading diversely is important because THE WORLD IS FULL OF DIVERSITY. And that’s just downright beautiful, okay?! Everyone is different in so so many ways and that’s part of your identity which is, again, awesome. Reading promotes empathy and acceptance and those are two super important things for everyone to just embrace. I mean it, embrace it, pet it, eat it…whatever you want to do to show your love. Eat all the diverse things. I’m sure this can’t go wrong. Here are some favourite diverse books and I highly recommend you devour all of them immediately. I DON’T KNOW WHAT’S GOING ON WITH THE “EATING” METAPHOR BUT IT’S STILL STRONG. Be concerned if you want. I am. And if you’re looking for more diverse books (bless you, wonderful soul) you can go stalk peruse my Goodreads shelves where I have categories for Deafness, Autism, Mental Illness, and Disabilities. I plan to make more shelves in the future so keep thine eyes peeled. Peeled within reason. Don’t let your eyeballs fall out. I wrote a few hundred thousand words this year and my eyeballs fell out after staring at my laptop for so long. 10/10 do recommend keeping eyeballs firmly affixed so you don’t freak out your cat or parent. Now I leave you with this BOOK TREE and a MERRY CHRISTMAS! I’ll still be blogging between now and the New Year, don’t fret, but just not over the Christmas weekend because I’m sure you’ll be busy being in a food coma if you celebrate Christmas. But before you go! GUESS WHAT?!?! I’m in the semi-finals for Epic Reads #BookShimmyAwards for best booknerd of the year!! This is the part where you vote for me (please) and tell me I’m awesome (because yes) and I get crowned queen of the internet (yas). I believe you can vote multiple times too. SO YOU KNOW WHAT TO DO, MY PINEAPPLE FINEDS. Now happy holidays and THANK YOU (!!!) for being so supportive of my blog and me and my cake. I like your face. time for me to interrogate YOU, my fiends. do you read more fantasy or reality books?? and tell me what the best DIVERSE books you’ve read this year are?? also have you ever ranted really REALLY furiously over a book?!? DO YOU CELEBRATE CHRISTMAS? i must know all the things. ATTENTION TO THEE: If you’ve commented on Paper Fury and not received a comment back from me in a while…check your spam, pleaseeeeee?! For some reason it’s sending me to spam on ALL the WordPress blogs and I’m crying. And if anyone knows how to fix this PLEASE TELL ME. It didn’t use to send me to spam all the time!! YOUR PHOTOS ARE SO PRETTY!!! Also LOL at your answer to the Reality vs. Fantasy question. I cry. I laugh. I am most definitely a Fantasy reader. It’s not like I hate contemporary but I find that most of them are either depressing or about romance and there are no magics or dragons to balance it out. The only time I’ve really ranted about a book was to my friend. I have this mindset that I should appear professional and not frothy on my blog when I review books XD. I haven’t gotten any spam or reply so I’m not sure what’s going on, or if there’s something wrong with my laptop. MY PHOTOS THANK YOU FOR THE NICE WORDS. :’) 😂 And I agree: where is our magic/dragons in contemporary??? Like can’t we just have a few?? To balance things out? I think The Fault in Our Stars would’ve been 1000 x more awesome if Hazel had been a dragon, I’m just sayin’. Ahem. But good on you for being professional and not frothy with your reviews. 😉 I … it’s too late for that for me.😂 I’M DOOMED TO BE TOO LOUD ABOUT MY OPINIONS. Omg let me come stand with you, my friend. I don’t even understand the appeal of classics, but worse, I find is people who read classics often look down on those who don’t?? Like, I’m HAPPY for anyone who loves them!! I just don’t get it. Read what you want, I say.😂 Classic-style-speech does my head in. I need my YA and my snark and my magical spontaneously combusting dragons. uhuhh..I’m so sorry about the spam thing! On blogger I always get emails when you comment! 🙂 Does anything weird ever happen for blogger blogs when you comment? OH GOOD. SEE I’M ACTUALLY A MIND READER AND WROTE THIS POST JUST FOR YOU.😂 (I’m going to probably have to start apologising for all the choking damages I cause you.😂) oooh, I must go find this rant of yours. Because I’m sneaky like that. 😂 And a diverse fantasy readathon sounds AMAZING honestly. But pfft, don’t be sorry for being excited. HELLO YOU’RE TALKING TO THE ALL CAPS QUEEN HERE. I’M READY TO FLAIL OVER ALL THE THINGS ALWAYS. Omggggg, I am googling this pirate book immediately. I have need. SO MUCH NEED. And I messed up book names Cait. The book I said above is a pirate book but not Space pirates. The space pirate book is this– Pirate Nemesis by Carysa Locke… 🙂 AND YES LET’S FLAIL OVER THINGS ALWAYS!! I HOPE YOU LIKE BONE GAP, BECAUSE I WILL FLAIL OVER IT FOREVER. *shrieks from the hilltops* Finn is literally my favourite precious crumpet. And HI FIVE for our library addictions. Although, eek, I have definitely borrowed out some books that were dubiously treated and kind of gross. I borrowed out a Harry Potter the other week and it had pages glued together with like paint or lipstick!??! Like who does that?!? AAHHHHHHHH ADSOM IS ACTUALLY THE BEST TOO. *flails in happy circles* Do you love Kell? DO YOU DO YOU?? Great post, I always like finding out more about my favourite bloggers. Personally I probably read more reality books but only because fantasy is so long and scare me, gonna try and read more fantasy in 2017 though! DID YOU JUST SAY FAVOURITE BLOGGERS. The best diverse books I read this year were The Flywheel by Erin Gough, and a short story collection called Diverse Energies (clue’s in the title, eh?). I ranted over a book last month because it was extremely problematic – do not read Enchantments by Kathryn Harrison. Don’t even poke it with a stick. So problematic. And also a bad book. Ugh. My immediate family celebrates Christmas but not in a big way since we’re neither Christian nor into commercialisation. I’m a total Grinch, though, I could happily not hear the word “Christmas” for the rest of my life! I think I overdid it as a kid and that’s why I’m so against it now. I’d rather celebrate the Roman Saturnalia. Gawwwwsh, I’m a grinch too. Let me be Grinchy with you.😩 Christmas is too noisy and stressful for me. BUT THE FOOD IS GOOD THOUGH. Ahha it was really interesting to learn all these things about you. I find it really interesting that none of your characters are ones that you’d want in real life, when I write I try to make them all people that I would love to be or love to be friends with. Honestly even most of my villains are people I want to be just to have their power. I really love your photography and I’m trying to get started myself with a bit of book photography but finding angles that seem ‘right’ is so difficult. Any tips would be greatly appreciated because I have no clue what I am doing. You definitely write nicer and better souled people than me.😂 MINE ARE ALL HELLIONS I TELL YOU OMG. I can’t even help it?!? When I try to write nice people they usually end up going dark side by the end. Ah. Good times. Oh oh good luck with the photography! Honestly everything I do is just 2 years of practise and experimenting.😂 Otherwise I really don’t know what I’m doing haha. But I did do a post on bookstagram tips here if that’s helpful? Merry Christmas Cait! I hope you have wonderful holidays with all your loved ones and tons of books! I 100% agree with you on fantasy! Occasionally I’ll try out a reality book to, ya know, switch it up a little and the entire time I’m waiting for crazy stuff to happen like in my fantasy books and NADA. Sometimes it’s fun to read a calm book but I love all the adventures fantasy books bring me! & Yes this one time I went OFF on a book. I don’t remember the plot all that well, but the book was supposed to be taken place in my hometown but it was so obvious the author didn’t do their research because everything they said about my hometown was so wrong and I was just left like ???? I think I did 2 posts about it lol, I took it personal. I would say that fantasy and reality are pretty balanced for me? I love BOTH. I’ve really loved Saving Francesca and the Spinster books recently. I mean, most characters are straight and white, but lots of talk about feminism and mental illness so yeah. I have *very* rarely ranted angrily over a book–The Spectacular Now in June was the last one I hated. Oh course I celebrate Christmas! (and I’m so excited because this year I’m giving someone a paperfury society 6 gift and also buying some books for myself. Have a fabulous Christmas, Cait! And I agree there ARE good reality books out there.😂 I’m reading a contemporary right now that is so nerdy and appreciates the internet and tumblr and afjdksald I’m loving it too. I mean, sad lack of dragons bUT YET STILL GOOD. Fantasy all the way. Reality just has nothing for me. I try not to rant furiously because I know somebody has spent months and months sweating over a hot keyboard and ranting about their finished product makes me feel bad. I TRY to be reasonable. I TRY to make out that it was me, not the book. …I’m so lucky that nobody can see (or hear) inside my head. *hi fives* I mean why would we want reality books WHEN THEY DO NOT HAVE DRAGONS? It’s so weird. Fantasy is the only answer here. I think you’re awesome for trying to be calm about everything.😂 I HAVE NOT GOT THAT SKILL SET. Although, like I do try to tone things down when it’s personal preference…but like when it’s super problematic.🙈🙊 I can’t help but rant there!! It’s sending you to spam??? D: that’s a terribly conspiracy. Oh man. I’m sure your comments arrive to my mailbox in one piece though! It seems that way. …..I checked just in case. You just used the fire meme though! Have you actually seen that show? You should. We’re planning a fourth rewatch now with boyfriend. I still spasmodically laugh each time. Some of the classic authors are good though. Like all of those Victorian ladies who wrote stuff like Pride and Prejudice xD (which I also didn’t like at first). They have quite a bit in common with YA books I think, except for the etiquette and the pace (you’re gonna say no now, I know xD). I also love Wilkie Collins, cause oh man. The Woman In White. Huge book, but oh man. And I love swooning Victorian ladies and dark stories about them, lol. Although I do admit, Victorian books take patience and commitment, most of the time because they’re very long and a lot slower than stories we’re used to. But I still read them, and try to make myself read them, because it’s like.. self-furtherment xD but not just that. It’s because even if the first half is often slow and hard to get into, later the characters just grow on you and it becomes majorly worth it. Haha, Paper princess, I’ve seen a lot of people ramble about that book sucking very bad. I’m surprised people still have it on their TBRs. But there are different people, I guess. Strange how sometimes our worse reviews gather more attention than the good ones. About that point though, I’m so gonna brag (scratch that, share in my happiness xD). Yesterday I finished Senlin ascends (I think you’ve heard of that one, maybe?). Turned out to be SO GOOD I just booted up my computer late in the night basically and wrote a review, cause OH MY GOD I couldn’t not write it!!! It was so exciting, such an exciting ending I had adrenalin in my blood for hours!! I ended up writing a pretty good review, so they say – I’ve noticed it always comes out good when you’re so excited about something. And when I posted that review, it instantly made several people buy the book and tell me that on Goodreads. I was completely overwhelmed.. Do you remember the first times that has happened to you? It makes you feel like, “THAT’S WHY I blog”…. Oh man, it was awesome. Anyway. Wanted to share my happiness 😀 it’s so nice when someone tweets that your review sold them the book!!! <3 so happy. I’m happy for you liking classics! But I’ve long since given up.😂 I’ve read a few and they don’t feel anything like YA to me, omg. Just probably the language is the biggest thing? And the lack wild stabby explosions. Although I do love ones like Alice in Wonderland and Peter Pan, I do admit. So basically children’s classics. help me. I’m a child and I shan’t grow up. I haven’t heard of Senlin Ascends but YAYYYYYY that it was such a good book for you and you flailed so much!! And omg you convinced people to get it too?! YOU ARE OFFICIALLY MAGICAL. And yes that is honestly the best feeling ever when people read something I’ve recommended. It makes me feel like I’m a bookseller or something.😂 I’ll definitely check it out on Goodreads after this! I suggest switching to another account for commenting, like Discus or Google. It’s available on some blogs. Maybe that would work? Not sure if you can do that on all WP blogs though. Really is a nasty problem :/ it is nice though that you personally tweet people. Maybe you should message WP support and ask why this happens? In my job I’ve learned that when in doubt, support should always be contacted without hesitation 🙂 especially because you are NOT a spammer, you are a valuable member of the community. It’s in their best interest to help you too. It’s alright *pats* – me and boyfriend have long since agreed that we will never grow up. We miaow and woof to each other on a daily (shall I say hourly) basis. I bite his nose. I pretend I’m a cat a lot. I also like children’s books. And we dream of getting a big set of Legos. YOU ARE NOT ALONE. As for Paper Princess and the like… Part of the problem with a lot of YA books is that they’re marketed fiercely. Which doesn’t always portray the real contents of the book. The same happened to me with Ghost Bride. I didn’t read ANY YA at that time and I disliked it quite a lot, and this book wasn’t even marketed as one, and it was hyped. So when I got it, I had all these expectations… I was very disappointed, cause I did NOT expect anything YA, nor did I want it, and also, even with that in mind, it was a let down, cause it was not as awesome as it was said to be. That’s fierce marketing for you. But I suppose they got their goal – they sold books. But a lot of readers were unhappy. Btw, have you read The Ghost Bride? Yeah, check out Senlin Ascends! And if you’re not convinced, read my review post, it contains hyper little piggies xD (I LOVE GIFs, deal with it xD lol)… Yeah, it’s so absolutely great when people TELL you that you’ve made an impact. We all should do that more often. We should also tell authors how we feel too. Makes the world a better place. A few people have actually let me know WordPress is doing it to them too!! I wonder if it’s just self-hosted blogs or not? I should ask. EGH. But hopefully if it’s a WP problem then they’ll fix it soon… *crosses fingers* I actually hate disqus haha. I mean, it’s okay, but it doesn’t email back replies which is what I like. But it’s not actually MY blog that’s having the problem. It’s when I comment on other people’s blogs. I think Paper Princess was a small or indie press actually. It definitely wasn’t one of the Big 5 Publishers, thank goodness, or I would’ve lost my faith in them.😂 And I think sometimes, with sexed up books like Paper Princess, it’s the ADULTS who are reading and promoting them and just “happen” to leave out how graphic it is. So ya. Help us all. Yeah, I don’t like Disqus myself, I prefer WordPress, but Disqus does send notifications of replies, at least for me 🙂 maybe it’s a settings thing. Yes, my boyfriend is pretty awesome. Except I constantly plot how to make him read, lol. But, details. I guess I do enough reading for two people anyway 😀 speaking of which, I did not fail my readathon goals! It’s finished today. I’d write an update, but Christmas here sort of starts on the 24th. Ready to eat wayyyy too much. Adults xD you’re an adult too, technically xD but I do know what you mean. Or maybe they’re just meant for profit. But sadly, there are people who enjoy those books as well. Anywho, CONGRATS on the wonderful Sunshine Blogger AWARD! You really are an amazing ball of sunshine screaming in your face with CAKE! HEHE< Just kidding! I loved all your answers, funny as usual and your BOOK CHRISTMAS TREE!! EEK, it's soo good! I do think there should be some sort of star at the top and maybe you could decorate it with bookmarks! THANK YOU THOUGH, MAHRIYA!! I accept that description of me quite willingly.😂 I actually took down the tree like TWO MINUTES after I built it because I’m such a grinch omg.😂 I did have one version where I put some ivy and a star up but it looked kind of horrible…agh. I am so not good at christmas SAVE ME. Yep! So this is happening not just with WordPress.com users but anyone else using the Askimet plugin! And there’re other comments back to me. Like, hello, Akismet? This so SO unfair, I’m not spam! I don’t think it’s WordPress’s fault entirely, just that Akismet is built in on wordpress.com blogs! Hope we can get this fixed soon! And yes! People’s comments on my blog are coming through and I use Akismet! Maybe it’s just some bloggers being mistaken for spam? Oh and also, I found this link (someone forwarded it to me actually!) It’s worth reading if you want to get your comments through and NOT marked as Spam. Oh thanks!! I’ll check this out!! you can fire me a few of those burnt marshmallows, because I had never had burnt marshmallows. I love them in microwaves, they are super yummy after 10secs. with chocolate of course. and favorite means one right? why so many? Pfft, “favourite” means “as many as you can list right here”. I’m SURE that’s the dictionary definition. Oh, the last few days haven’t been so good and then – swoosh! – there you are and brighten up my day. (See the pun I made? Muahahahaha!) Also, this reminds me that I have been sunshine-tagged ages ago and still have to answer the questions. ARG! Actually, there is a question I’d like to ask, because I’ve been wondering. You use the abb ARC fairly often and I was wondering…what does it stand for? Excuse my ignorance, Your Cakeness. I’m so glad you love the tree!! I seriously left it up for like…5 minutes before I took it down and rearranged my shelves.😂 I’m so anti-Christmas it’s actually hilarious. But the food. THE FOOD IS GOOD. So there’s that. Oh sorry!! I should probably clarify what ARC means (don’t feel bad!). It stands for “Advanced Review Copy” and it’s what publishers send out to bloggers/reviewers so they can read it before the book actually goes to official print. Merry christmas to you too and I hope you get to eat cake these holidays!! Oh. Oooohh! Thank you for the enlightenment. I feel much smarter already. Of course I know what that is. We call them “Leseexemplare” or “Rezensionsexemplare” and….about half of Alice consists of them because I adopted SO MANY OF THEM during the time I worked at a bookshop. PS. Funny you should mention that, my sister gave me one of those lovely bottles with the premeasured ingredients for a chocolate cake. It's gonna be yummy! I hope….I don't really know how to bake…. I think I actually read more reality than fantasy tbh. I had a time where I would read ONLY fantasy but not anymore. I still like fantasy books though! Omggg, that’s so exciting!! I’m so glad you like my recommendations!! I get you on the marshmallow thing, though you might be exaggerating slightly. Even my brothers don’t quite go to 90%. I sometimes light mine on fire, but last time I did I lost the whole thing. It fell off while I was trying to wave the flame out. And Firefight is a good book. Not my genre exactly, but fun. And the narrator was good. It had some odd hints of religion that made me think harder than usual trying to interpret it. I usual prefer books where people are being stabbed and tortured* for believing in one God, instead of being uncertain about whether superheros can save them. *Or not being stabbed. That’s often preferable. But I usually prefer the book to line up with my general beliefs, even while it make me think deeper. MEEEEEEE?????? EXAGGERATE????? Anna. When have I ever done that, tut tut and for shame, you should know me better by now. Oooh, I listened to the whole Steelheart trilogy on audio and I LOVE the narrator!! Best ever. 😀 I think Firefight was the best of the trilogy. Pretty disappointed with Calamity though. *goes off to whinge in the corner* I’m pretty sure Brandon Sanderson is a Christian tho?? He never swears in his books or he makes up swear words so I figured he must be somewhat religious? But he’s very subtle. I wish more Christian authors had that skill. We need more popular books with true religion. He by no means hits people over the head with his views, but it does make me think. I’ve only read Steelheart and the Rithmatist, so I haven’t gotten bored yet. He (and a few others) does the Writing Excuses Podcast which I listen to often. He’s a good teacher. And just think, no Christian university would have a spec fic writing course, while the Mormon university does. It’s not fair. Another great post Cait! I’ve voted for you but didn’t know I could do it multiple times so heading over again. HOW DID YOU KNOW MY EVIL PLAN FOR RULERSHIP OMG DALEY IT’S LIKE YOU READ MY MIND. There will be like Cake Holidays where we celebrate different cakes on different days. Chocolate Cake Day. Cheesecake Day. Cupcake Day. Etc etc. It’ll be beautiful. p.s. ooh, a pineapple. thats interesting. p.p.s. I might be sick on christmas. I DON’T WANNA BE SICK ON CHRISTMAS! Congratulations on being in the BookShimmyAwards! That’s awesome! Also, I like your long posts, so, yeah. And I do celebrate Christmas, so: have a very merry Christmas, Cait! Oh that is a HUGE relief that you don’t mind long posts.😂 I remember the days when I did like 500 word posts?! What a smol tiny blogger I once was omg. AND YES! Rick Riordan writes amazingly diverse books! I adore them! If the question is Fantasy or Reality, then I pick Fantasy. Hey, it is spelled correctlyj in your question, now. Did you correct it, or did I imagine that it ws misspelled? WordPress is acting funky with me too. I’m wondering if they’ve recently changed something. My email notifications haven’t been getting out to people which is BAD. Hope things go back to normal for us soon! Omg GOOD. I mean, wait, it’s bad for both of us! !😂 But I feel slightly better if it isn’t just me WordPress is trying to murder. It’s really depressing commenting on lots of blogs and knowing mostly no one will find them unless they check their spam regularly?! AgH. Maybe it’s a bug and they’ll fix it soon!! WELL. HELLO. MY NAME IS SATAN’S CHILD APPARENTLY.😂 But seriously how do you not eat them if they’re not charcoal?!? There is always more fire/charcoal/blackness on an Aussie marshmallow than anything else hahah. *whispers* the Welsh government library system allows you to borrow ebooks. My local library also has a separate ebook borrowing system. This means, with physical books, I can borrow 30 books every three weeks. Life is good! I don’t think it is – it’s actually a website run by the Welsh government. And there’s also a system called Borrow Box which my local library uses. Not bad for a small semi-rural library made of corrugated metal! Merry Christmas!! this post is hilarious! and that book tree is totally awesome! ummm there’s not even a contest here. I would choose fantasy over reality any day! Six of Crows/Crooked Kingdom are definitely my favorite diverse books of the year by far! I’M SO GLAD YOU LIKED THE POST!! *flails quietly in the background* And omg we can officially be best friends since you love fantasy best. Because I mean, what other answer is there really?! And omgggg Crooked Kingdom. CROOKED KINGDOM. I cannot even love it enough honestly. WHEN IS IT OKAY TO RE-READ IT BECAUSE I NEED. I love your bookmas tree. I’m tempted to make one of those, but then I’d have to pick up a bunch of books when Christmas is over. I’m way too lazy for that. Also, I’m American, and I set my marshmallows on fire before eating them. Non-incinerated marshmallows are yucky. My tree stayed up for literally 5 minutes because I hate having my shelves in disarray.😂 So I took it all day straight after the photo! I HAVE NO CHRISTMAS SPIRIT AT ALL I TELL YOU. I’m very very glad it is an American thing to roast marshmallows to death too. I mean, like how else would anyone eat them?!? Haha, I always go back and forth between Fantasy and Contemporary for my favourite genre but in the end I think Contemporary always wins. BUT WE CAN STILL BE FRIENDS RIGHT CAIT?? “Sorry, Reality. It just wouldn’t have worked out between us.” MWAHAHAHAHAHAHAHAHAHAHAHAHAHAHAHAHAHAHAHAHA. Mad Max is brilliant.😂 Or well, Furiosa is anyway omg I love her. And awk that is like the WORST NEWS about your library. Christian romance is literally the worst thing ever. Your favorite books make up like 50% of my TBR. I highly value your bookish opinion it seems. Another great post!! I’m going to be missing your blog over the holidays xDD but I will find some books/food to distract me! Oh I won’t be gone too long, don’t worry. 😉 I’ll probably be back for the next Top Ten Tuesday prompt because it’s for the top books of the year AND YAY I GET TO STRESS OVER MY TOP PICKS.😂 Ahem. But ranting in person is great too!! I’ve ranted wildly at my sister before bahah. She just smiles and nods and probably has no idea what I’m going on about. OH I LOVED WONDER!! And All the Bright Places. You take the most gorgeous pictures! Can I ask what camera you use to take them and what you use to edit them?? They are literally aesthetic GOALS. I tend to fall more in love with fantasy too. There’s just something about books that don’t take place in our world that are so intriguing. I love Maggie Stiefvater’s novels! For some reason, the only one of her books that I couldn’t get into was The Scorpio Races. I may try listening to it on audio instead though. I haven’t read her Raven Cycle series either. However, I AM IN LOVE WITH THE WOLVES OF MERCY FALLS SERIES. I read it a few years ago and legit loved it to death. I am still recommending it to people. STILL. Sure! I use a Nikon D3200 and only automatic because I have no idea how to use light/settings.😂 And I just edit them on picmonkey.com which is free and super easy to use. Honestly have like nO SKILLS hahaha. Maggie Stiefvater is LIFE. <3 I barely ever re-read books but I reread hers all the time.😍😍 Omg but the Scorpio Races on audio was aaamazing although I'm biased because I'm totally in love with Sean Kendrick anyway.😂 SAM THO. SAM AND COLE ARE SO ADORABLE I CAN'T EVEN. I STILL NEED TO SEE THAT MOVIE OMG BUT I ALREADY LOVE HARLEY QUINN. FANTASYYYYYYYYYY ARGH IT’S JUST THE BEST, WHAT EVEN IS REALITY? I feel like i do read diversity books, but I can’t think of any so I clearly don’t read enough of it. I think I read more racially/culturally diverse books instead of ones about different disabilities and illnesses. I rant ALL THE TIME, because what else are blogs for? I COULDN’T AGREE MORE, MY FRIEND. *flings fantastically confetti over both of us* I mean, why would we read reality books anyway???? Where are the dragons omg??? And yES blogs are definitely for ranting.😂 Good times for all. Merry Christmas eve to you too! Your review for Paper Princess was amazing, tbh. Simon vs. and Carry On BOTH GIVE ME ALL THE HAPPY FEELS. I couldn’t stop grinning like an idiot every two seconds while reading them. I loooove Made You Up!! I read it last year and ajfdklsad it was so incredible. 😍 I can’t wait for the author’s next book in 2017 because it’s about a writer!! CARRY ON AND SIMON ARE TOO PRECIOUS FOR THIS WORLD. omg. Simon and Simon. What is it with these adorable Simons?!? I highly enjoy your reasons why you love book blogging as well as the top books of the year! A Curious Incident is a great book btw! I totally didn’t sing number four as I read that….XD. And I have to agree with your position on bringing characters to life. Mine are all completely messed up and I would be terrified to meet them IRL. OH OH and I forgot to say my most angry book rant Of The Year was for Desolate by Amy Miles (I think that’s her name?? I’m horrible I know). EVERYTHING ABOUT THAT BOOK WAS NO TO ME but I gave her an extra star because she was TRYING to put a good message out there??? She just failed miserably. I always feel so bad abut writing ranting reviews but COME ON. I’M GLAD YOU LOVE IT AND NO I CAN’T STOP BEING FABULOUS IT’S JUST NOT POSSIBLE THIS IS WHO I AM. *flips hair* Six of Crows is actaul life though. <3 And I totally want to buy the hardcovers because REASONS. And we cannot have unmatching books, no no, that is not acceptable. so I totally understand your reasons. I DIDN'T KNOW YOU LIKED FANTASY AT ALL. IT WAS VERY HARD TO TELL. I shall accept you as my book benefactor for sure. Go hurry up and be a millionaire, yes??? C'mon. I have needs here. I suppose I shall have to deal then with your fabulousness. I AM A STUBBORN ONLY BUY HARDCOVER RACCOON. No one can stop me. I NEED A LIBRARY THOUGH BECAUSE MY POOR WALLET seriously. No worries. I am working on it for sure. YOU’LL BE THE FIRST TO KNOW. Nope, not at all.😂😂 Although, wait, I DO like children’s classics! Like Peter Pan and Alice in Wonderland…so that counts, right? 😉 And YES exactly!! Erasing diversity is harmful and just doesn’t even make sense. This is our WORLD. We need diversity representation everywhere. Fantasy is also my kryptonite; whenever I want to go back to something classic, I’m one to reach for fantasy! Though, I am finally branching out into different genres and finding new favorites, which is always fun! Classics are my least favorite genre (if they’re considered a genre) as well. I just don’t understand what the heck they’re saying two-thirds of the time. Like, is that how they spoke back then??? How did anyone understand in each other if all they did was talk in allegories and metaphors??? Who knows? I can never choose favorites with books. If someone were to ask me what my favorite series was, I’d launch into full on panic because all my favorite series are fantastic in different ways and I just can’t choose! It’s too hard. Merry Christmas! Love the book tree! It’s stunning! Ooh, I would definitely like to be magically transported into the Raven Boys world. ACTUAL LIFE GOALS RIGHT THERE. And yessss. Like why would we want reality when we could have dragons/magic/epicness in general?! I NEED IT. And agreed about classics. It’s the kind of speech they use that throws me.😂 And just the old fashionedness…*walks into a wall* I CANNOT. I voted for you! I really hope you win! I was looking at your favorite books of 2016 and I realized that I’ve only read ONE of them (Crooked Kingdom). Obviously I need to catch up on the rest. 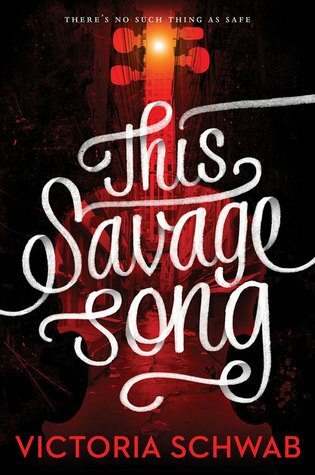 I was SO SURE that I was going to get to This Savage Song, The Female of the Species, and A Darker Shade of Magic this year, but none of those happened and I’m very disappointed in myself. There’s always next year? As for my favorite diverse books of the year, I LOVED The Wrath & the Dawn, Wolf by Wolf, Iron Cast, Six of Crows, and When We Collided. I sadly didn’t get to the finals, buuuut I don’t mind.😂😂 IT WAS STILL FUN TO BE NOMINATED! And ohhhh it’s always hard to read aLL the books one wants to read in a year, right?!? I’m flapping about trying to avoid eye contact with my TBR basically because there’s so much to read and not enough time.😂 I still have to read Wolf by Wolf!! And Iron Cast!! I’m really keen for that one. Oh Cait, I love your string-of-thought blog. It always makes me smile. I tend to read more fantasy. Reality is just too real. I do occasionally stumble across a non-fantasy book that I like, but then it’s usually an issues book or historical fiction. No fluffy contemporaries for me. As far as diverse books go, I haven’t really read any this year. Not ones I’d want to recommend, anyway. I totally get you!! Although I mean, I DO have fluffy contemporaries I like, but it’s very rare to find a good one. 🙈🙊 I want dragons and like…scary plot lines.😂 Or at least A PLOT?? Like these fluffballs of contemporaries don’t usually have a plot as well. hehehe. That sounds like a really cool kind of camp tbh.😂 I haven’t eaten a marshmallow in years but omg I distinctly remember the “right” way to cook them being waiting until we set them totally on fire and they were just a lump of sugary charcoal. AH. SUCH A FUN CHILDHOOD. Ahem. The food = the best part of christmas. I am more a fan of fantasy. I think my favorite diverse book I read this year would be The Problem With Forever, that book stayed with me. It changed the way I see things and made me really grateful for my family. I celebrate Christmas, I love decorating for it, my house looks like a winter wonderland inside. Not outside because it just rains all the time, and now its cold and rainy. Perfect to stay inside and read though *Bright Side*. Also I don’t think we roast marshmallows like you do. They are supposed to be a golden brown, but mine always end up looking like a piece of charcoal because I like to just put things in fire. (I think fire may be my element to:) Ah, well it still tastes good. Also what is the curious incident of the dog in the night about? I’ve been wanting to read it but don’t have any idea what its about. 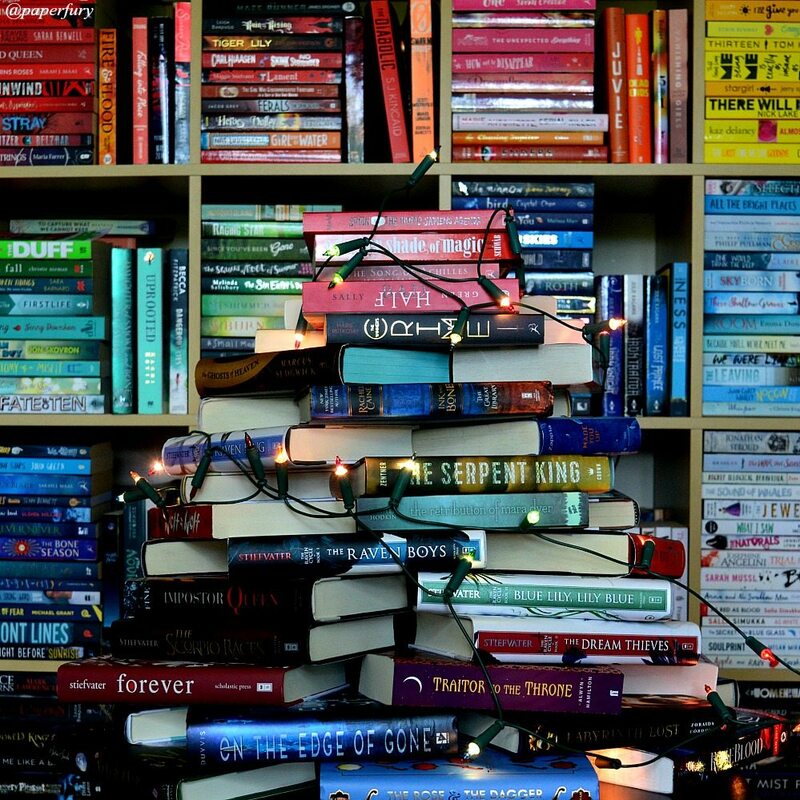 Also I love the picture of your book Christmas tree! Very Pretty!!!! I already voted for you for the *BookShimmy* awards, but I might vote a couple more time, just for you:) Happy Holidays! oooh, hi five for our fantasy appreciation, my friend! And YES The Problem With Forever was amazing and kind of made me cry. 😭 THAT’S OKAY. I DIDN’T LIKE JOY ANYWAY. The Curious Incident is about a boy with Autism and it’s VERY good! Although I haven’t read it for a long time so I really really want to re-read. Eeeep. ABSOLUTELY. PREACH IT, SISTER. WE ARE THE WISE ONES. HEY NOW. DON’T PUT ME OUT. I WILL SPIT AT YOU. And fluffy adorable books are really really nice. :’) A lovely break from all the stabby books I read.😂 But omg you should definitely try Fangirl because the nerdiness is INTENSE and I love it. And I’m 1000% in agreement about classics. Like the language is just so tough to stay interested in and I always find the plots boring.🙈🙊 I may be an uncultured platypus but I’m not actually sorry about it. I’M GLAD I CONVERTED YOU TO MAGGIE STIEFVATER. THAT IS MY JOB IN THIS WORLD. Merry Christmas, Cait!! Your blog has been a real inspiration and a pick-me-up to me this year. I love your book flailing and your constant bubbly positivity. It’s contagious. 🙂 Hope you had fantastic holidays and I look forward to hearing even more from you in the coming year!! Awww, Lizzy, this means so much to me! THANK YOU. 💕 I hope you have a really lovely holidays too!! It was actually kind of cool here for Christmas.😂 Like only 27C degrees and it rained so…THAT WAS UNSEASONAL. But still good! hehe. and omg Holly Black and Rainbow Rowell are incredible. OH I LOVE YOUR BOOK TREE!! Fun story: my dog chewed my lights while I was putting the books away.😭😭 They were unplugged but least to say tHEY DO NOT WORK ANYMORE. Dogs. omg. Well I guess it’s just another use to procrastinate from my cat! The Curious Incident of the Dog in the Nighttime is a book that’s been on my TBR for a good three years now. It’s probably time to take it off the shelf and actually READ it instead of just leaving it there to look pretty. Fantasy is always there for me ahaha. I didn’t get to SIMON this year and I’m super sad because I know it’s going to be amazing. What am I doing with my bookish life?! Hi, I really love your blog and this post is really awesome. I totally agree with you about fantasy. Fantasy really is way better and magical than reality. To be honest, I don’t know that much diverse books and think that the world needs a lot more of them, so I am currently writing one myself and I really hope to be able to publish it one day! Bytheway, I also read your rant on goodreads about paper princess and that book really does sound terrible! And about classics, I really love them, yeah I know it’S not everybody’s taste but the Anne of green gables series, for example is really magical and I think if you haven’t, you should check it out. AWw, thank you!! That’s SO nice to hear honestly omg. *blushes* And I’m so glad we agree about fantasy. HI FIVE, MY FRIEND, FANTASY IS LIFE. Hey Cait! I wanted to let you know that I got 2 beautiful things from your Society6 store for Christmas. I loves them so much!!!!! I got a case for my phone (the one that says “It’s a writer thing you wouldn’t understand”) and the mug saying “I turn coffee into books.” They are both SOOOOO awesome and make me feel so writer-ish. I can’t wait to show them off at the writer’s conference I’m leaving for in a few days. 😉 Thanks for making these cute little beauties available! Congratulations on being semi-finalist for the book shimmy awards!! That’s so awesome! AND LOOOL I really love fantasy too, although surprisingly I’ve been devouring (and now I’ve used an eating metaphor wow thanks man) contemporary way faster this year… Fantasy burn-out, maybe? Is that even possible??? Thankfully I don’t think I’ve read absolutely terrible books this year and I might have been lucky?? I’ve heard about The Continent stuff before reading it so I guess I dodged THAT bullet? And you’re welcome for my metaphor influence.😂 And I do understand that with fantasy *nods* Because it’s kind of exhausting to read too?? Like I find I need some lighter stuff or my brain just implodes with how exhausting it can be haha. I heard they’re rewriting parts of the Continent? So honestly I’m interested to read it now. I also thought the author put out a very interesting apology so…IDEK.😜 I might, I might not when it comes out. And YES. Books > socialising. Every time. I saw the writer’s apology too! IT WAS DEFINITELY UH… INTERESTING… but if they’re rewriting parts of it I can maybe give it a second chance… but I’d need to see the reviews after the fact first, lol! Also, you’re not wrong about your characters hahaha. I definitely prefer fantasy books. I started reading because of fantasy books and how they can let me escape for a little while. Now, I continue reading them for the amazing world-building and deep characters that I cannot seem to find in reality-based novels. Don’t get me wrong, there are still a bunch of contemporaries that I love, but I would rather reach for a fantasy novel than a realistic fiction story. I have just started my journey into diverse books, but I am very quickly amassing a list of favorites. I just recently finished read Magnus Chase and the Hammer of Thor, which was really diverse. I was not expecting so many awesomely diverse characters since it is MG and they are reluctant to change. I loved learning about Muslim culture through Sam and seeing a great example of genderfluidity with Alex. Not to mention the deaf representation from Heartstone and even a mute god! Riordan really put these issues into terms that kids and stubborn adults can understand. By the way, I took the elemental quiz and got water. Somehow, they are under the impression that I am a calm person who can control their emotions. I’m so glad you liked The Female of the Species – easily one of my favorite contemporaries of the year. I like the cover – but I would like it a lot more if the background color was a different color. We are just LOVELY authors aren’t we?! With our little psychopathic characters. Ah. Good times.😂 Oh but yes I think the Female of the Species would’ve been a LOT better if it hadn’t been that awful shade of yellow?!? So off putting omg. Anyway, I especially love the part of this post about your fictional characters being real. That would be a dangerous world, indeed. Haha, I soo relate to your answer on the fantasy vs reality question! 🙂 Who needs reality when you have fantasy? I mean, it’s not even a fair fight…. I do sometimes have a contemporary phase, where I read all the contemporaries, but I always end up back wih my trusted, lovely fantasy. Also, yay diverse books! I loved Six of Crows and All The Bright Places as well, And I also enjoyed More Happy Than Not by Adam Silvera. EXACTLY. We obviously both have our priorities in order. And yes I do read quite a lot of contemporaries too..😂 Like sometimes it’s good to read something lighter too?!? But fantasy is what makes me super excited. I just bought More Happy Than Not!! SO EXCITED TO READ IT NEXT YEAR! This Sunshine Blogger Award looks so cool! I just looked up how it works and it’s awesome! Your blog has the prettiest pictures *squeals! * I havent read The Serpent King but I do want to read it though, I added it to my TBR 🙂 To All The Boys I’ve loved before was one of my favorites too. Great post! Oh god, I understand your pain. It used to send me to spam on Disqus all the time, so my comments just never showed up, and I had no idea why and how to fix it. =/ I hope you got/get it sorted out!! I’m also a fire element. *high five* I’m definitely more fantasy than reality! There have been a few books I ranted about. I usually try to see at least some good, but there are books that just made me too furious too attempt it. *sets things happily on fire with you* We must embrace our inner pyromaniacs. <3 FANTASY IS OBVIOUSLY THE ONLY RIGHT ANSWER HERE, SO YOU GET A CUPCAKE. FANTASY ALWAYS! I love fantasy. It has all the best stuff. Yeah, some Americans do set their marshmallows on fire. I’m one of the weirdos who just browns the outside, peels off the hardened shell, eats that and re-toasts it. Basically I eat my marshmallow in layers and that’s the only way I’ll eat a marshmallow (unless it’s covered in chocolate). Libraries are the best! Except, you know, when they don’t have the books you want. Or the books you want are on this huge waitlist. But I definitely borrow more too. YAS WE HAVE MUCH MUTUAL LOVE FOR FANTASY *hi fives* Although you do eat marshmallows kind of weird.😂 I couldn’t do that because mine are literally little balls of burning charcoal and you have to eat them while they’re still so hot they burn your whole month. Honestly WHY DO WE EAT MARSHMALLOWS. Sometimes I don’t even understand humans. I celebrate Christmas!! *checks chimney* PRESENTS COME TO ME. I’m so sad it’s over. I would like to start a petition to have Christmas once a month. Maybe once a week. Everyday would be nice, but let’s not go nuts ya know. REAL LIFE NEEDS MORE DRAGONS. Then it would be infinitely better honestly. And omg do not throw brownies! WE NEED TO EAT THOSE TO SURVIVE. Noble answers, these all are. I haven’t been book-blogging very long (okay, I started a long time ago, took a break, came back in June) but I flipping LOVE it. All the words… *dying*. Fantasy is so much better than reality. Reality does not have enough chocolate. Quick question- how did you get started with the book vouchers? I’m really curious, I keep hearing about them but not about the how! Book blogging is SO MUCH FUN HONESTLY. And chocolate is fun too. I love chocolate. Oh so I’m just freelancing for a blog that’s attached to an indie-Aussie bookstore! I post reviews = they pay me in book vouchers. It’s the besssst. Unfortunately I don’t know how to find more opportunities like that, because they’re really the only place i’ve ever found offering the deal? You’re hilarious! I am so excited to see your Goldilocks genderswap at some point. YAY I AM GLAD.🎉😜 I need to get onto editing it though omg.